I bet at least one of you who’s reading this hates to have a bath. Well, if not every time, SOMEDAY, you must have wanted to not bathe. 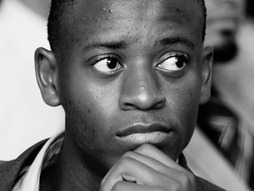 Ludwick Marishane, is the guy who invented water-less bathing lotion, just because he did not like to bathe. Sounds funny, but it has a potential to have profound implications in areas where water is scarce. For some of us, not wanting to bathe is an utter denial of luxury, but not for all. Well, that is just not it, the lotion creates a biodegradable film that cleanses and moisturizes the skin. Go green! Previous Previous post: Why do we waste so much? Next Next post: Solar for elec…naah, heat!